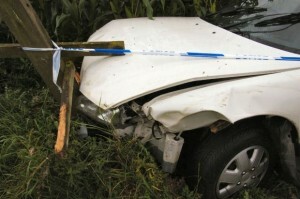 In Hollywood and across South Florida, car accidents cause severe devastating injuries every year. One of the more serious injuries that can be sustained in a car crash is an internal injury. Internal injuries occur when blood vessels or organs inside the body are damaged, causing bleeding inside the body. Internal injuries can be caused by blunt force trauma or by penetrating injuries. In a car accident, if a person is thrown around with enough force, especially at high speeds, blood vessels or organs inside the body can be crushed or torn. Similarly, if an object is hurtled towards a passenger at high speeds, it can pierce the skin and layers of tissue to cause damage to the blood vessels and even major organs. In some cases, internal injuries – if they are minor – can heal on their own. In many cases, however, these injuries require prompt treatment, medical evaluation, and even surgery. Fortunately, it is usually fairly obvious that an internal injury has occurred. The victim may lose consciousness or may be in severe pain. In cases where symptoms aren’t present, however, it’s still important to get a passenger to a medical doctor for a full evaluation to rule out internal and head injuries after car accident. These injuries can be serious and even life-threatening. Any time you have been in a car accident and have been thrown around or experience pain after the accident, it’s important to visit an emergency room. Prompt treatment could save your life. If you experience these symptoms or if you have been in a car accident and experience any troubling symptoms, visit an emergency room. Not only will you get treatment, but you’ll start the process of proving your injury so you can get fair compensation. Due to the pain and severity of internal injuries, you’ll likely miss considerable amounts of time at work and your medical bills may be high. You may need an extended stay in the hospital because you may need to stay on fluids, you may need to have exploratory or other surgeries, and you may need extensive medical treatment. In some cases, part of your spleen or other major tissues may need to be removed. Complications such as infection can also occur. Because of the high cost of internal injuries, it’s important to get fair compensation so you can pay for your medical bills. Before signing any documents and before making any legal decisions about your case, contact Flaxman Law Group for a free consultation so you can talk about your case with one of our attorneys.